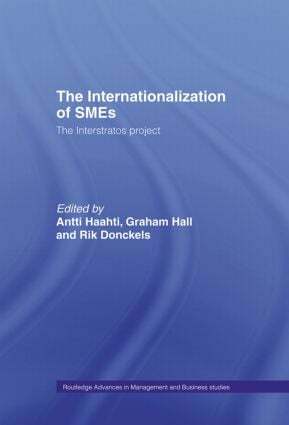 The Internationalization of Small to Medium Enterprizes uses information from annual surveys of companies in Europe during the period spanning the formation of a single European market. It addresses issues affecting small businesses such as marketing, entrepreneurship, export strategies and the single market, on an international basis. The book also contains detailed case studies of individual countries including The Netherlands, Finland, Switzerland and the UK.